The Groundnut Cookbook is a contemporary African cookbook from the foodie trio behind the current pop-up supperclub craze. African food is some of the best on the planet. It's easily shopped for and cooked but remains, for some reason, off the culinary radar of most people in Britain. Duval Timothy, Jacob Fodio Todd and Folayemi Brown are three energetic, imaginative Londoners set to change that with their cookbook packed full of gorgeous full-colour photography and easy-to-follow, fresh and healthy recipes. 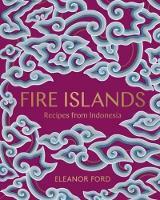 You can discover Groundnut Stew, Jollof Rice, Butterbean Terrine, Pork in Tamarind, Cardamom Mandazi, Baked Broccoli Falafals, Yorkshire Pudding with Mango Curd; and; Puna Yam Cake. The Groundnut Cookbook will make you wonder why it's taken you this long to explore Africa's culinary gems. 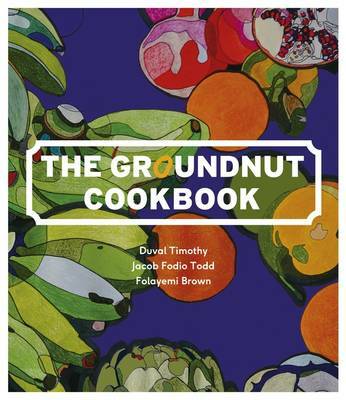 Duval Timothy (Author) Duval Timothy, Folayemi Brown and Jacob Fodio Todd are the dynamic trio behind The Groundnut. Their pop-up restaurants showcase the outstanding flavours, ingredients and variety of African food. Now they bring their energy and creativity to their first cookbook, with recipes that are healthy, accessible and, most of all, delicious. Folayemi Brown (Author) Duval Timothy, Folayemi Brown and Jacob Fodio Todd are the dynamic trio behind The Groundnut. Their pop-up restaurants showcase the outstanding flavours, ingredients and variety of African food. Now they bring their energy and creativity to their first cookbook, with recipes that are healthy, accessible and, most of all, delicious. Jacob Fodio Todd (Author) Duval Timothy, Folayemi Brown and Jacob Fodio Todd are the dynamic trio behind The Groundnut. Their pop-up restaurants showcase the outstanding flavours, ingredients and variety of African food. Now they bring their energy and creativity to their first cookbook, with recipes that are healthy, accessible and, most of all, delicious.